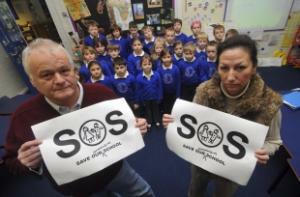 Teachers in Purbeck will find out in December if they still have jobs. The decision to close four middle schools last summer was made by Dorset County Council. 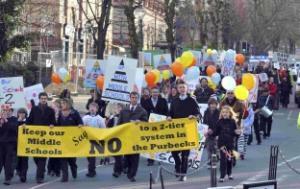 Due to the decline in the number of pupils in the area, the council decided to change the schooling system. Currently there are 57 teaching staff at the four middle schools which are due to close in September 2013. A panel of governing bodies from the Purbeck region will be meeting in the next two weeks to assess ‘best fit’ applications for positions in the two-tier system. The middle schools in Sandford, Wareham, Bovington and Swanage will close in September 2013. Currently doing an MA in Mulit Media journalism at Bournemouth University. Please check out the 'My News' section of my blog to see my latest print and broadcast work.